High end river model data preparation through flexibility, simplicity and evolving software development. GeoRiver® is a software application that has been designed for two types of user. The first is the river surveyor who captures vast amounts of position and height data within the river channel and flood plain. The second is the hydraulic engineer who uses the data to create a model of the watercourse to simulate its behaviour. GeoRiver® is a partnership project between Storm Geomatics (River Surveyors) and JBA Consulting (Hydraulic Engineers). This collaboration has improved the speed, complexity and quality of data that is streaming into hydraulic models through the GeoRiver® software, thus improving flood mapping and reducing flooding. We at Storm Geomatics are determined to make GeoRiver® accessible to all river engineering professionals across the globe improving source data for fluvial modelling and having a positive impact on flood mapping projects. GeoRiver® automates the processing of raw survey data. The software helps reduce processing time, and exports quickly and easily to HEC-RAS, Flood Modeller Pro, MIKE11, TUFLOW and EACSD formats, as well as DXF files to represent the river in CAD drawings. 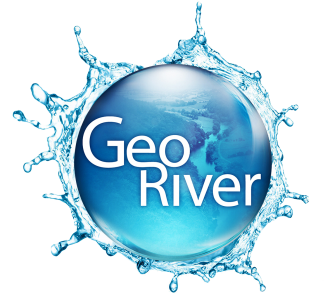 For more information about the software benefits and how it will improve your fluvial geospatial data workflow then please visit the GeoRiver® website.